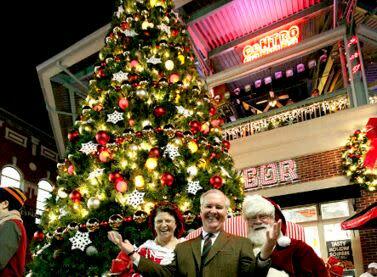 You won’t have to dash through any snow to enjoy all the cheer in Tampa this holiday season. Bookmark this list and you’ll be jingling all the way through the holidays. Wednesday, Nov. 18 | 6:30 p.m. Grab a complimentary hot chocolate from Hamburger Mary’s before snapping a photo with Santa beside a 34-foot Christmas tree. All the fun of ice skating, with 70-degree weather and sunshine situated along Tampa’s beautiful Riverwalk at Curtis Hixon park. $12 for 90 minutes includes skate rental. Saturday, Nov. 21 | 5 p.m. – 9 p.m. Enjoy live entertainment, stilt walkers, a caricature artist, cookie decorating, face painters, balloon twisters and in-store events, specials and giveaways all night long at this free family event. Bring your (leashed) pooch, visit with Santa and don’t miss the lighting of Hyde Park Village’s enchanted tree. Celebrate the spirit of the season at Busch Gardens’ Christmas Town™. Christmas Town brings holiday traditions to life with heartwarming shows, delicious holiday dining and more than 8 million lights. Experience Christmas traditions from around the world and keep warm with a mug of Busch Gardens&apos; signature hot chocolate. 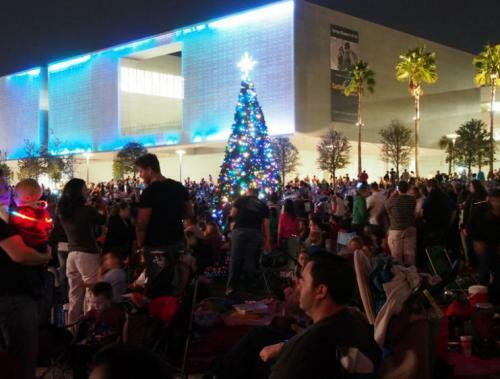 Friday, Dec. 4 | 6 p.m.
Count down to the lighting of Tampa’s tree in Curtis Hixon Waterfront Park before settling in for a showing of “A Christmas Story.” Blankets, low back chairs, coolers and dogs on leashes are allowed. Concessions will be available. Saturday, Dec. 5 | 11 a.m. The parade steps off at 11 a.m. and features grand, colorful floats featuring Tampa’s unique and diverse Krewes, dance troops, drumlins, crazy characters and of course Santa Claus! The parade begins at Madison and Pierce streets. Heads west on Madison Street then turns north onto Ashley Drive, and ends at Curtis Hixon Waterfront Park. The best viewing area is along Madison Street from Pierce Street to Tampa Street. A rare opportunity to catch “snow” in Florida awaits in Historic Ybor City. Experience a winter wonderland as live performances float by, with Santa rolling in for the grand finale. Thursday, Dec. 31 | 5:30 p.m. – 9 p.m. The official Outback Bowl parade and pep rally features floats, college cheerleaders and more than 20 marching bands. Free family-friendly event along E. 7th Avenue in Ybor City.